You may be thinking the “Sandwich Technique” is something to do with a tasty morsel wrapped in bread of some kind but in fact you’d be very wrong as the Sandwich Technique is actually a method for teaching and learning foreign languages efficiently. 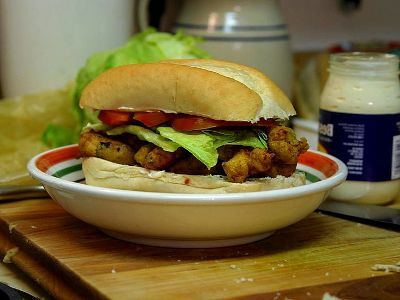 In business or management there is also a Sandwich Technique which is recommended as a way to tell an employee they are doing something wrong without them getting too offended – basically start with a compliment to pick them up, then hit them with the criticism which knocks them down, then follow that with another compliment to make them feel a bit better again. In fact the same technique is is in many other areas, not just business or work places, to give feedback and change behaviour. How effective it is when used in that way is much debated, however in language learning the Sandwich Technique is a different kettle of fish and nobody gets insulted or knocked down in the process (usually). When used in language learning the trick with this method is to wrap the foreign word or phrase around its translation in your existing language. For example if your first language is English and the language you are trying to learn is Spanish then the new Spanish words would be presented like so.. So the foreign phrase is said first, then its translation in your language then the foreign phrase is repeated to further cement it into your memory with minimum effort and time. Also when phrases are immediately translated and appear in context this further aids the learning process. In other words a teacher can read a story in the foreign language and insert translations along the way, allowing students to absorb new vocabulary along with the context which helps it all make sense to the learner. With a little planning and adaptation such a method could even be used for self-study, for example by using ANKI or by translating a page of text at a time (or several pages), from a novel perhaps, and inserting the translations strategically throughout then reading it back, preferably out loud, until the new vocabulary along with grammar and content is absorbed and you can then read and understand the text with the translations removed.